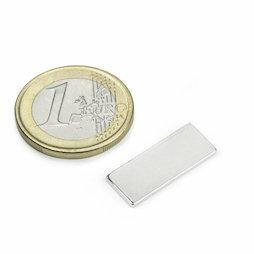 This is an especially flat and thin block magnet. It is well suited for brushless motors and is therefore popular with model builders. It can sustain a very high maximum operation temperature of 150°C.